Dr. Llacera Klein is the founder and owner of Cape Ann Orthopedic and Sports Physical Therapy Center since 1988 and brings 25+ years of clinical experience to the practice. She received her entry level physical therapy degree from New York University and holds Master’s and Doctorate degrees from MGH Institute of Health Professions in Boston. She is board certified as an Orthopedic Clinical Specialist as recognized by the American Physical Therapy Association. 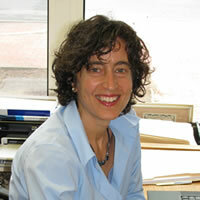 She was awarded Excellence in Clinical Teaching by the New England Consortium in 2004. Dr. Llacera Klein has also volunteered for CURE International and served as a consultant for a physical therapy department in a pediatric orthopedic hospital in the Dominican Republic. She has been a member of the American Physical Therapy Association since 1981. She has mentored Masters and Doctoral student interns since 1990 from several physical therapy programs in New England, including UMass Lowell and MGH Institute of Health Professions. Dr. Llacera Klein continues to treat a wide variety of orthopedic conditions including TMJ disorders, lumbopelvic mechanical malalignments, low back pain, post surgical joint reconstructions, neck pain, rotator cuff repairs, total joint replacements, arthritis, and various orthopedic conditions in women during and after pregnancy. She prescribes foot orthotics for a variety of orthopedic foot conditions. Patient populations also include recreational and elite runners, professional cyclists, tennis and other racquet sport players, alpine and nordic skiers, golfers and soccer players. Her extensive education and clinical experience continue to be a model for attaining the highest quality of patient care.